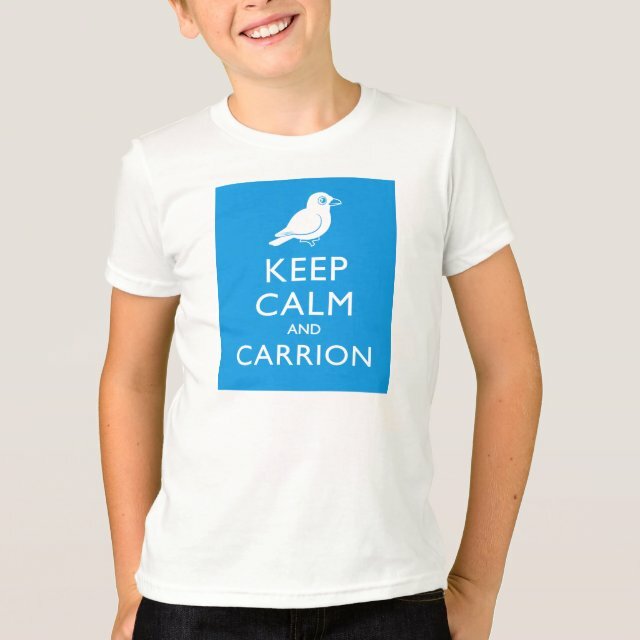 This cute design features a white silhouette of a Birdorable Carrion Crow along with the familiar propaganda phrase KEEP CALM AND CARRION. You can customize this gift! Move the design around, change the background color or style, add text or images -- make it your own! Your lil' man will love the look and feel of one of our softest, smoothest styles yet. This fits-just-right tee is is perfect for any season and flattering for any body type. Choose a design more... from our marketplace or design your own and make a statement in study hall, the mall or on the playground.